Over the years I have contemplated whether or not this blog is valuable to others and whether or not I should continue posting to it. 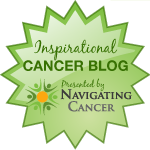 I get very few comments - even spam comments - compared to the comments which the #gyncsm community blog receives. I think that I write this blog as much for myself as for others. . I have made some great connections through this blog. And it is a place where I can go back and reread information on tests I had or events I attended or how I felt at a specific time in this journey. 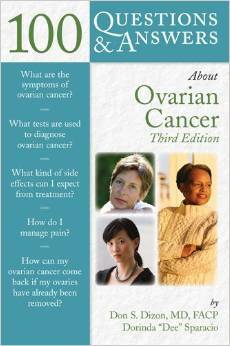 I remember how I felt when I was first diagnosed and didn't know much at all about ovarian cancer. Looking for someone who had a similar experience. So I continue writing. And then every few years I cross paths on another platform - Facebook group, Smart Patients, Inspire and they ask me if I am the one with the Women of Teal blog. Like this woman who last week responded to a post on another platform that I wrote about the #gyncsm chat on Vaccines. So great to see you on this site. I’ve read many of your Women of Teal blogs, but was never able to figure out how to reply with a thank you. So, thank you for your work and dedication to the OVC community. When I was diagnosed with stage 3 c ovc in 2015 ... I tried to research information about this beast of a disease and somehow came upon your site. Your words helped me to deal with an overwhelming sadness. My doctors told me it would come back. The fact that you recurred and still continued to give back always stayed with me. There is my answer. I will continue writing this blog. At this point, after eight years blogging, I sometimes ask myself the same thing. Why am I still at it? That woman's response is your answer indeed. All that you do matters a great deal, Dee, including writing this blog. Keep on keepin' on, right? Dee, you're not alone in feeling frustrated that you don't get comments or wondering if you are speaking to yourself. Let me tell you-you aren't. People are reading you and you may never know who you are influencing and helping - but trust me you are. I feel very strongly that every voice in the blogosphere is important and needs to be heard - it's why I put together the weekly blog round--up each week - so we can acknowledge each other. Keep on writing - we need your voice in the choir of advocate voices. Thanks Nancy and Marie. Every January I review the advocacy work I do and cut back on things I find do not bring me "joy". OK that sounds a bit like the declutter lady but I have done it for a few years now. I enjoy writing this blog and sometimes I find the time between posts increasing and may not be as valuable to others as it had been but as long as it is useful to others I'll keep on going. I truly appreciate you support! Keep blogging! Even if it touches one person that is enough. You never know who is reading and listening.